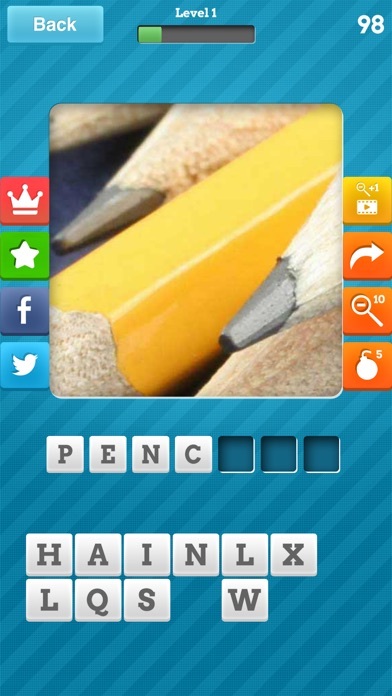 Guess the answer from the zoomed in photo as fast as you can… simple! Looking for a game that will test your brain? 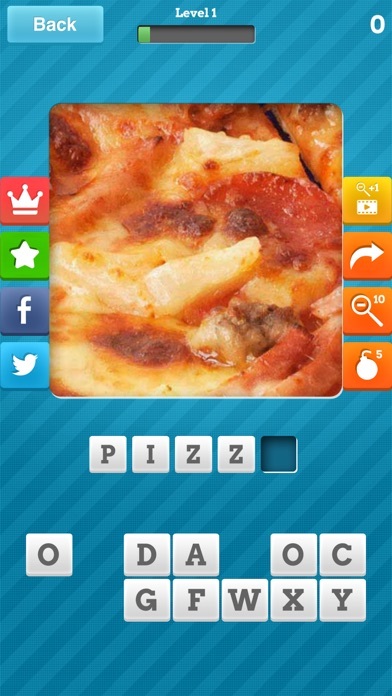 Join more than 20 million Close Ups users in the most addicting and challenging word trivia game yet! Keep your heads and brains active by figuring out what the zoomed picture is showing – it could be an object, some food, a cute animal, a famous music or movie star or landmark – you just have to crack the answer and enter the correct words to complete the level! When you’re stumped, try saying the words out loud or asking a friend! – A huge selection of levels ranging from easy to fiendishly difficult! – A word guessing game for all ages – brain games for players young and old, boys and girls! – Guess the answer from pictures of landmarks, objects, food, animals, people and more! – More than 400 levels to play through – it gets addicting fast! – Mind teasers to test your word puzzle skills and trivia knowledge. The puzzles get updated regularly so the trivia never gets boring! 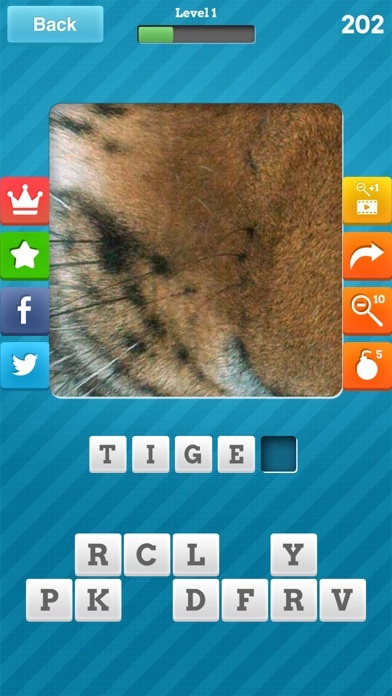 – Practice guessing words with multi-picture puzzles. Take your time to crack the words – there’s no time limit! Fans who like to think creatively and use their brain’s full potential won’t be able to stop playing this app! Play this new addicting word puzzle game that is great for boys, girls, teens and adults of all ages – download now and put your mind to the test! With over 20 million downloads and growing, Mediaflex Games has established itself as leading a creator of puzzle and trivia games for kids and adults.